A routine for identifying the truth of claims. Description: This thinking routine identifies and tests the claims that we encounter during examination of topics. Students start by creating a claim from patterns and assertions or identifying a given claim. Then they hold them up to thoughtful scrutiny, finding support or conflicting evidence for the claim and what questions still exist. 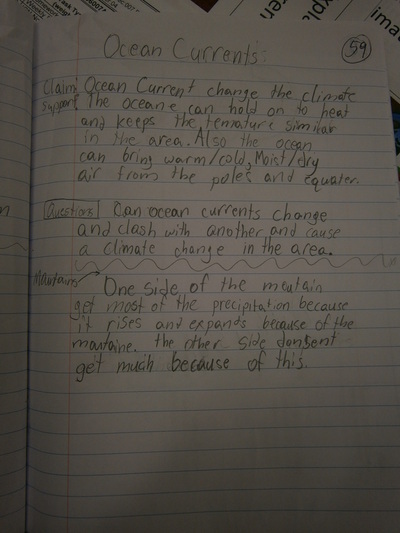 Claim-Support-Question focuses students on evidence as the purveyor of the truth and makes their thinking more visible. Refer to pages 191-198 in the book Making Thinking Visible: How to Promote Engagement, Understanding, and Independence for All Learners.